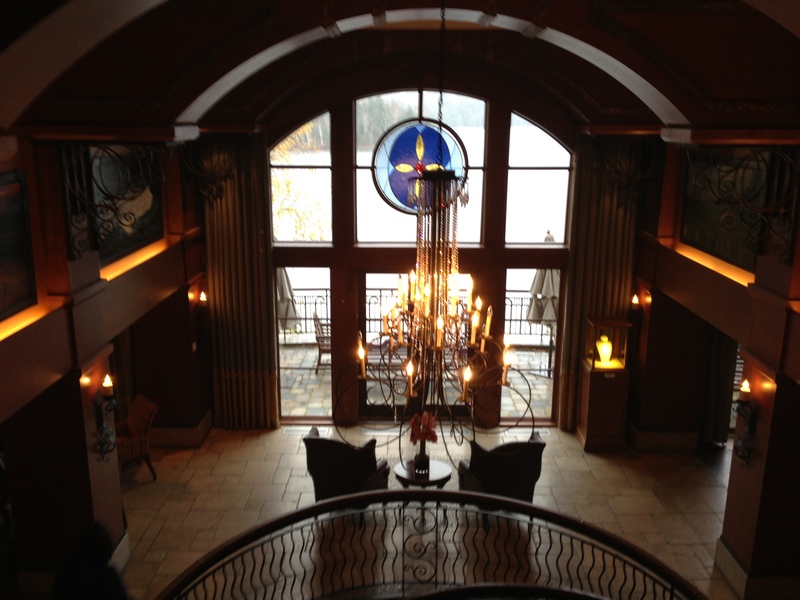 The lobby of Mont Tremblant’s Hotel Quintessence offers a portal to Lac Tremblant and its surrounding forest. Believe me or not, there are times when my position as a travel editor is not all wellness and fine wine, though I’ll admit this moment is not one of them. On assignment in Mont Tremblant, Quebec, I am ensconced in Hotel Quintessence, a boutique hotel on the edge of Lac Tremblant with the resort’s slopes only steps away. Of course, I would not know the great trembling mountain is within shouting distance, as this hotel is shrouded so entirely by trees and rock. My writing desk today offers a view of green pine and yellow maple, with the black lake and a little wooden bridge on a winding path below. I am here to review the wellness aspects of Hotel Q for SNOW Magazine—the results of which you’ll read, I hope, in our High Season 2013-14 (December) edition. I won’t reveal the story’s secrets now, but I’m more than willing to share my views with you through a series of photos I’ve just shot—of pine, and stone, and stained glass, and wrought iron, and floor-to-ceiling stone fireplaces, all of which warm the soul on this cold, snowy October forest. 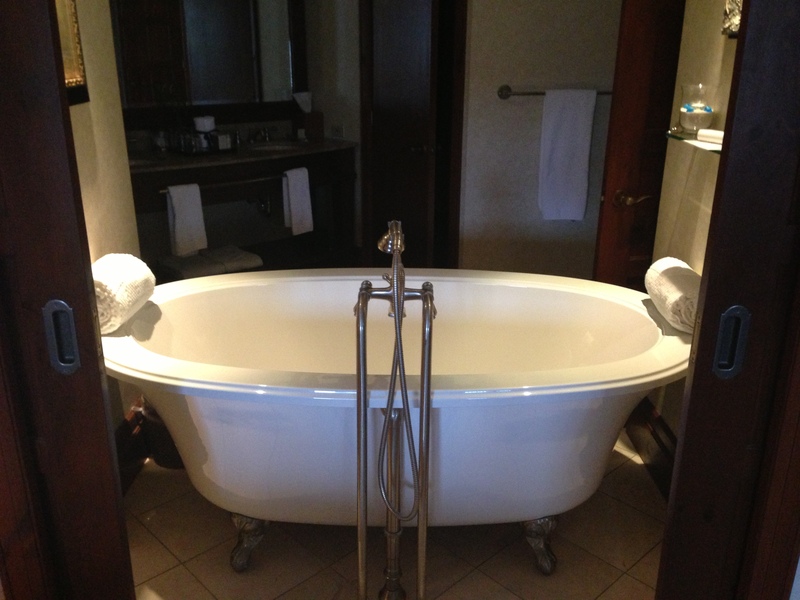 This grand soaker tub is inside every suite at Hotel Quintessence. 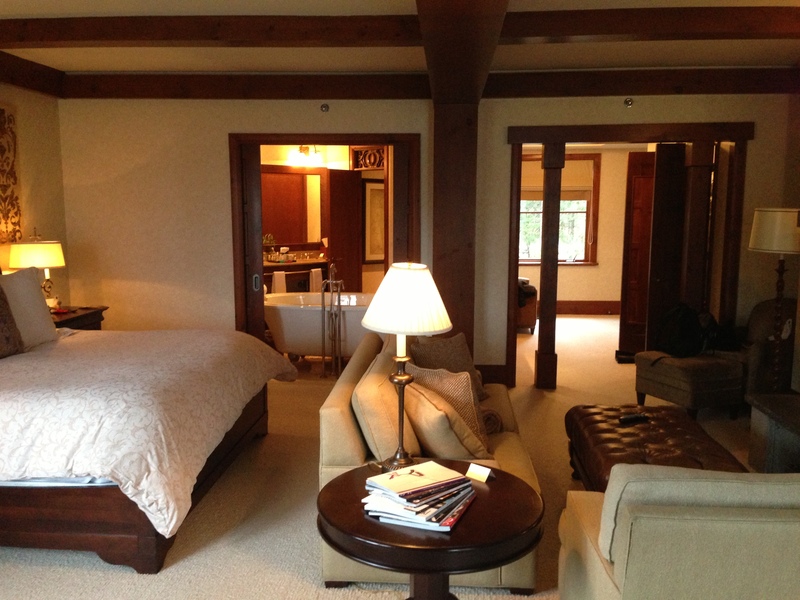 Inside view of a typical suite at Hotel Q. The jacuzzi and infinity pool at Hotel Q, overlooking Lac Tremblant. 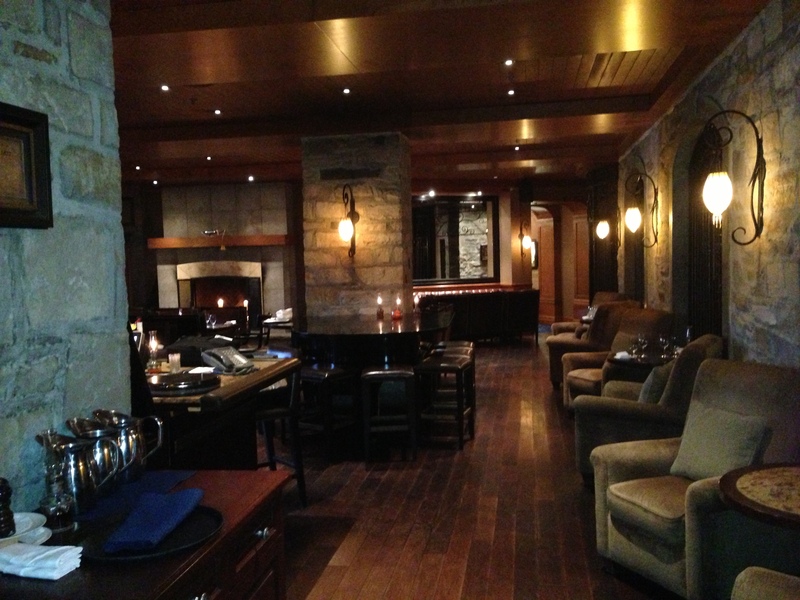 Hotel Q’s Winebar, Tremblant’s most sophisticated apres-ski stop. 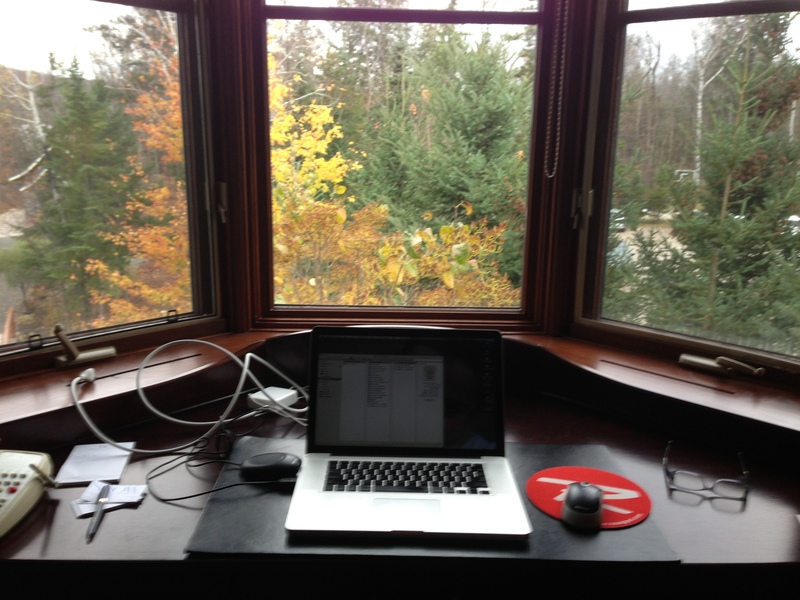 My writing desk, where I’m hoping this story will be inspired.